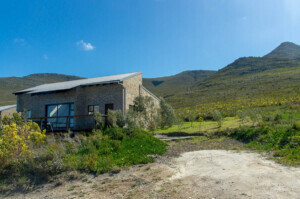 Our accommodation consists of five chalet-style self-catering cottages surrounded by pristine fynbos. 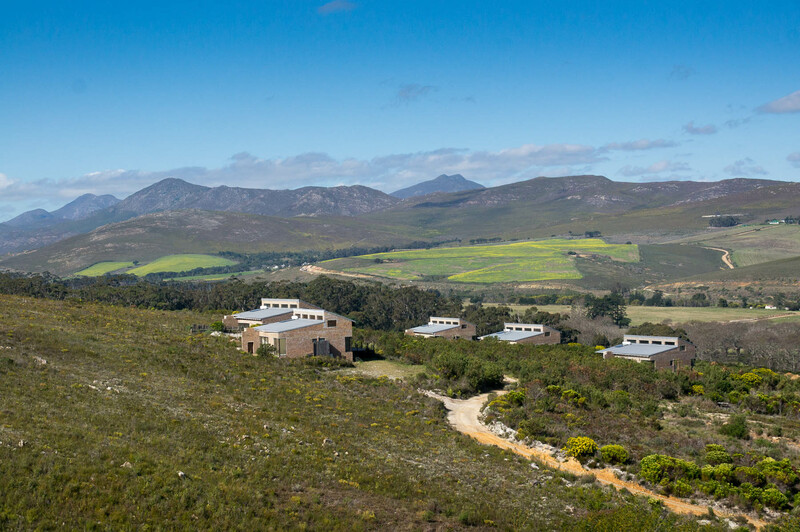 The reserve is 10 minutes past Stanford in the Western Cape of South Africa on the lower slopes of the Klein River Mountains (around 30 minutes from Hermanus). 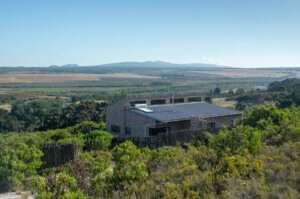 Each cottage has wonderful views across the Overberg towards Gansbaai and Akkedisberg. 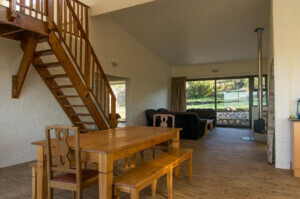 Click here to check out our rates or to book a cottage please Contact Us or Book Direct. 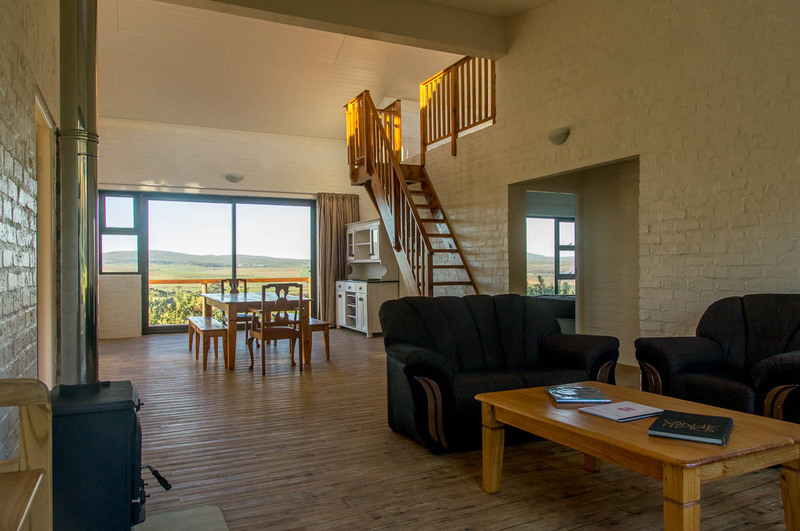 Our self-catering cottages are spacious, comfortable and afford spectacular views all around. 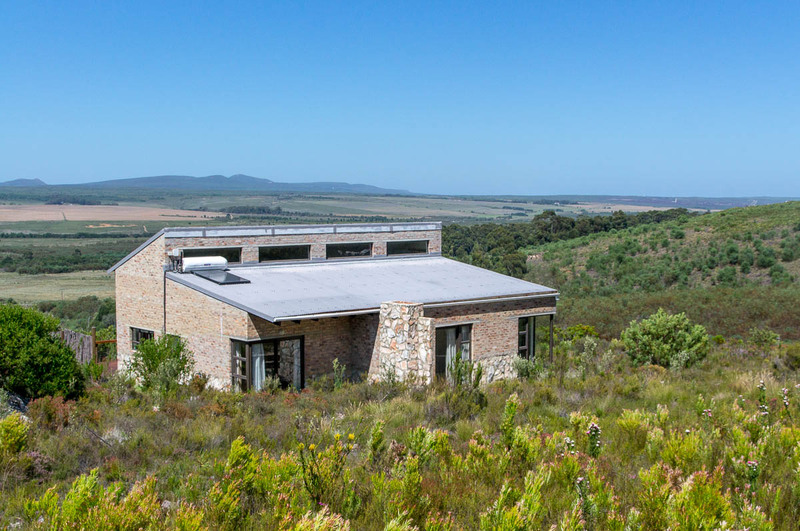 Each cottage has a similar design, with a large open-plan living area, with comfy sofas looking up at Phillipskop, dining area with large 8-seater table, and a roomy kitchen. A log-burning stove will keep you cosy in the winter. 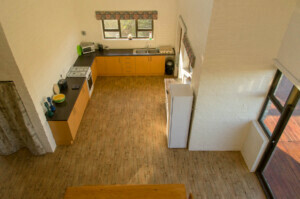 The kitchen is fitted with everything you need for self-catering accommodation. There is a gas stove so that cooking can continue even if there is a powercut, and includes a large fridge with good-sized freezer compartment; there is also a toaster, microwave, and all basic utensils. 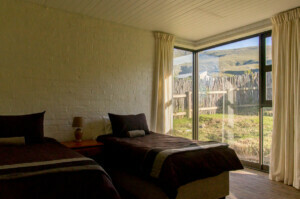 The accommodation units are all three bedroomed. 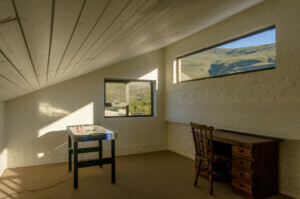 The master bedroom has an en-suite and views up towards Phillipskop. The other two bedrooms are twin bedrooms, though the beds can be pushed together. One has a view over the valley, while the other is on the mountain side. The twin bedrooms share a bathroom, which includes a bath and a separate shower cubicle. There is also an upstairs area which is a versatile space to be used as desired. 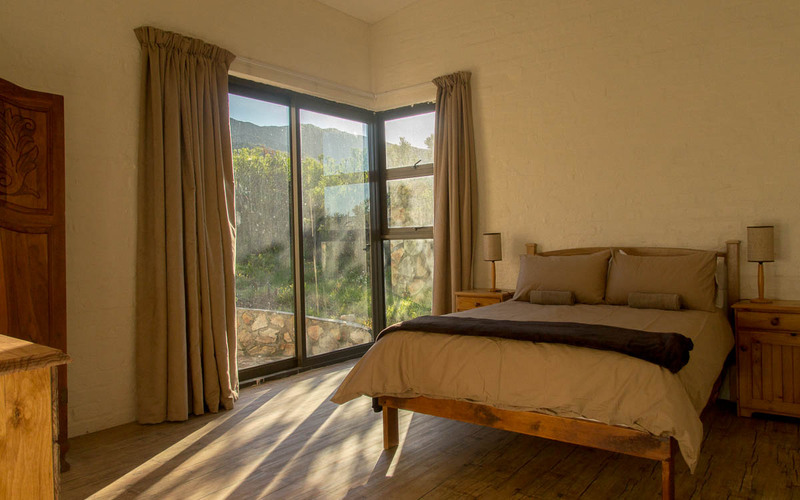 On the valley side of the cottage is a wooden deck, with wonderful views towards the Akkedisberg and across the Overberg in the direction of Gansbaai. 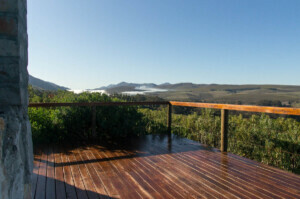 On the mountain side, we have provided a dedicated braai area looking up towards Phillipskop and a small garden. 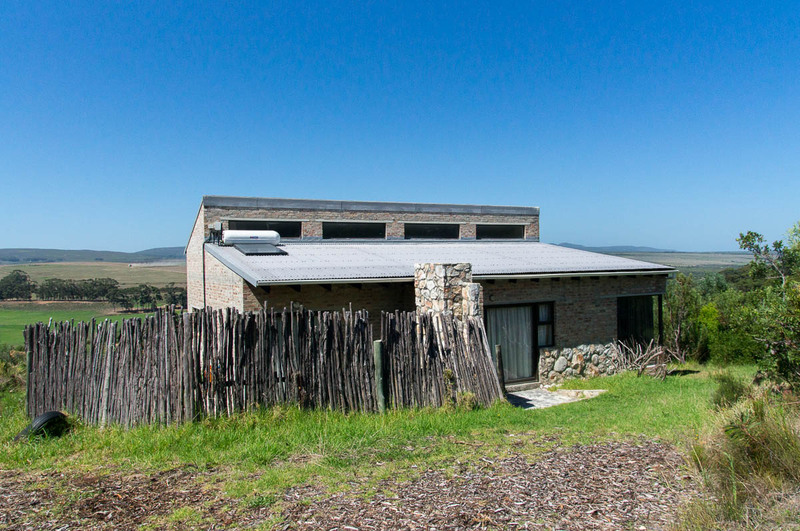 Each cottage is surrounded by beautiful natural vegetation that attracts a good variety of birdlife, and during your stay you are free to explore the reserve. For those who would like to discover more with an expert, we also offer guided walks. 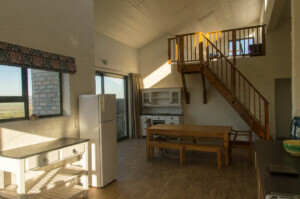 Although essentially the same in design, the individual self-catering cottages are featured below in separate galleries. 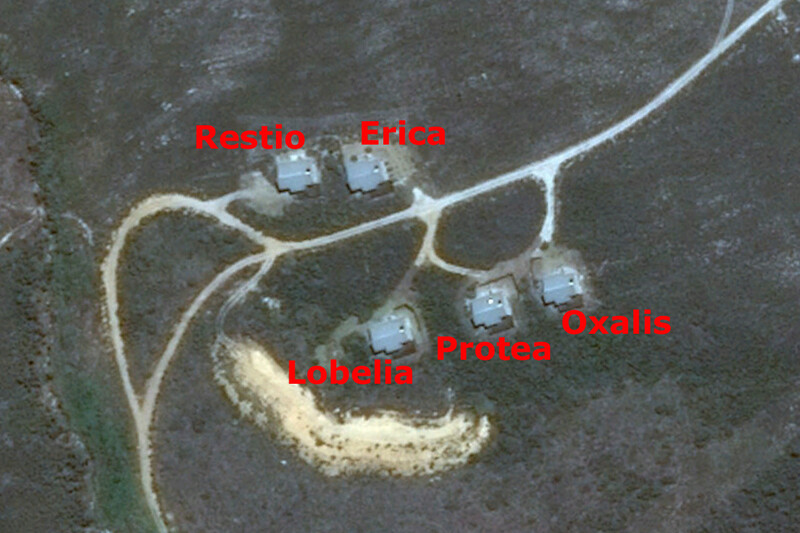 There is also a aerial map to show the relative position of each cottage. 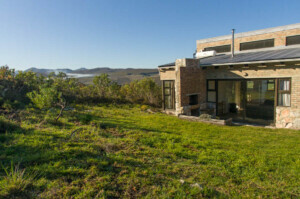 Just click on the accommodation of your choice for more images.